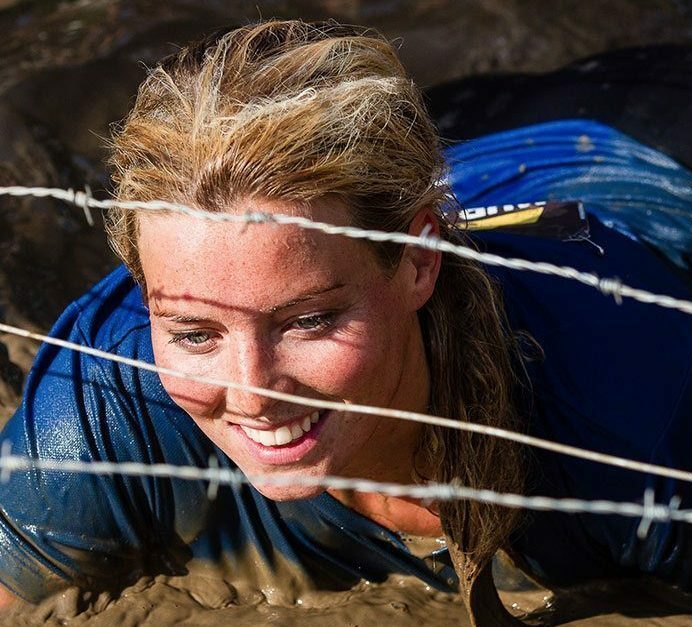 Crawling under razor-sharp barbed wire, you make your way through the mud. Get some, tiger! 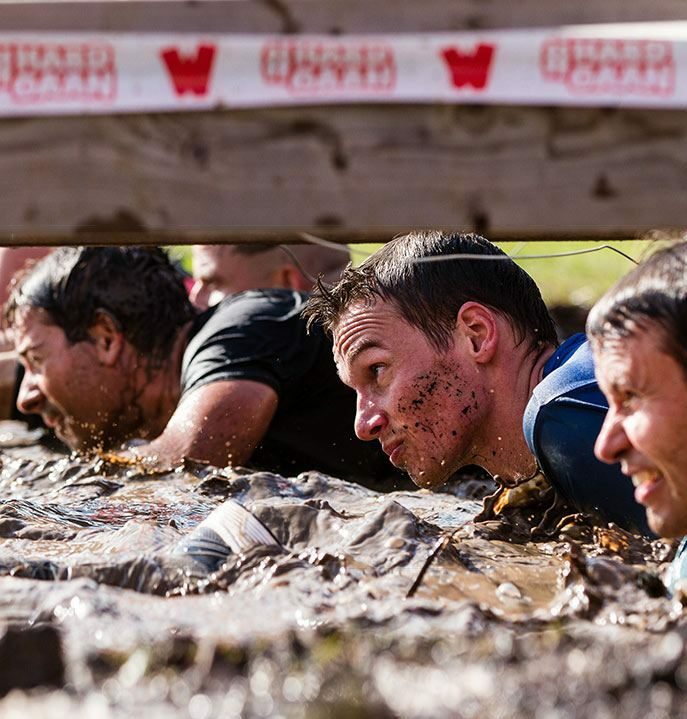 While you’re crawling your way through the mud, you keep thinking: “I didn’t know that I had muscles there! ?” And: “How much longer do I still have to go?” But giving up and walking away is not an option, because just above your head is razor-sharp barbed wire. Pedal to the metal and just grin and bear it! Do you want to prove that you’re a go-getter? We also call this obstacle ‘Battlefield’ because this set-up is used on military practice assault courses to imitate a defensive situation. Previously during such trainings, there was shooting with live ammunition to simulate the battle even better. Staying low was never so important! 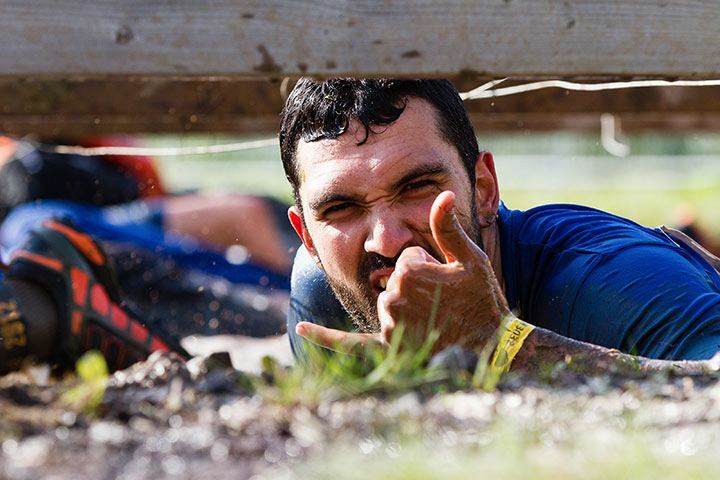 I used all my muscles and felt mud everywhere... Hard, but it felt good! 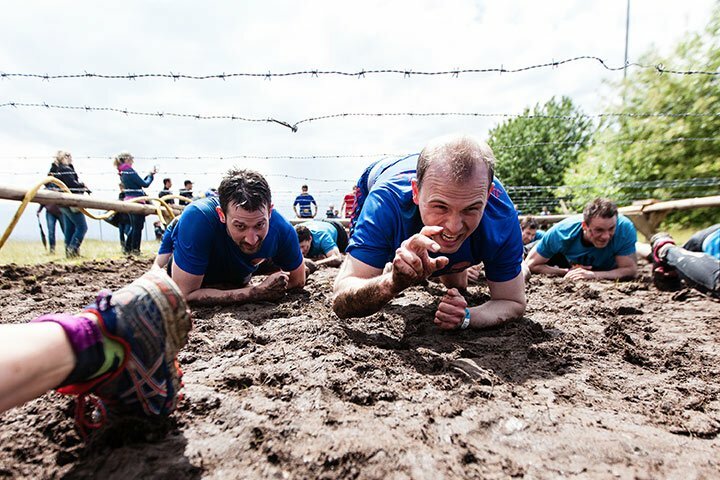 If you practice the Mud Crawl regularly during your round-the-park run, we guarantee that you will become Mud Masters-proof in no time. Your condition and heart rate will become extra stimulated whenever you tilt your upper body 90 degrees after running a while. Could you use some extra training? On our preparation page you’ll find trainers and clubs near you!